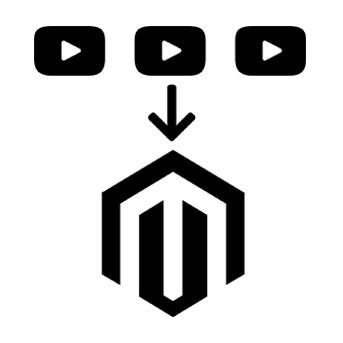 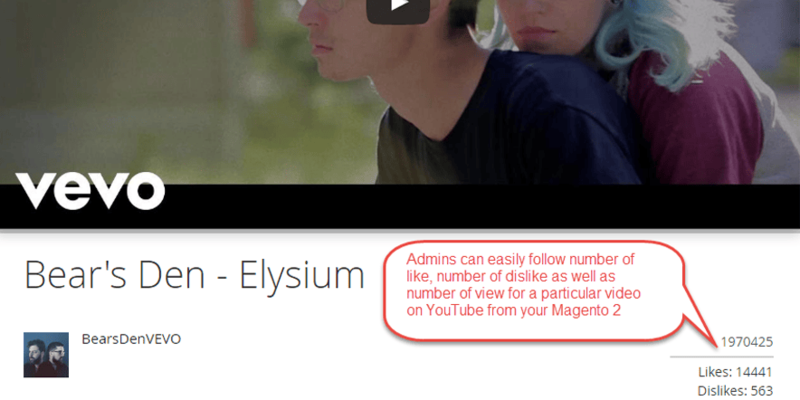 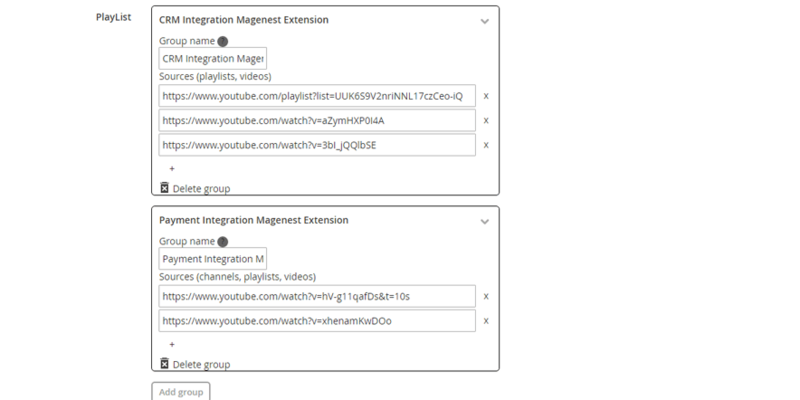 Youtube Integration extension by Magenest allows integrating Magento 2 with Youtube that helps display any Youtube channel and playlist directly on your store. 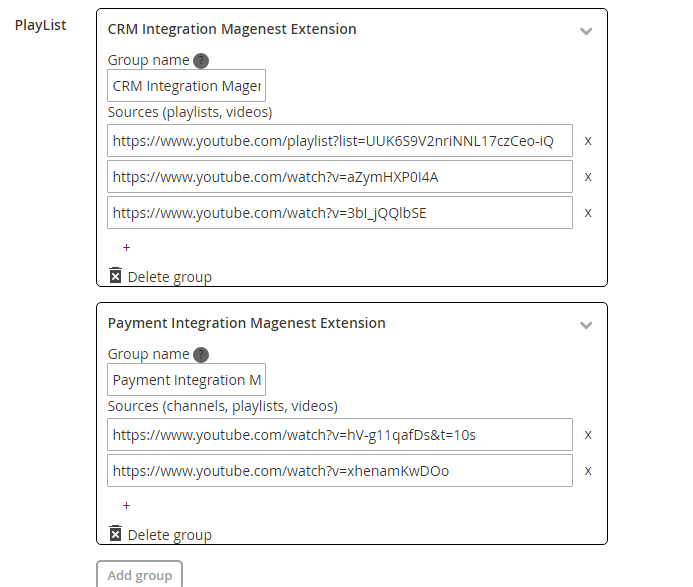 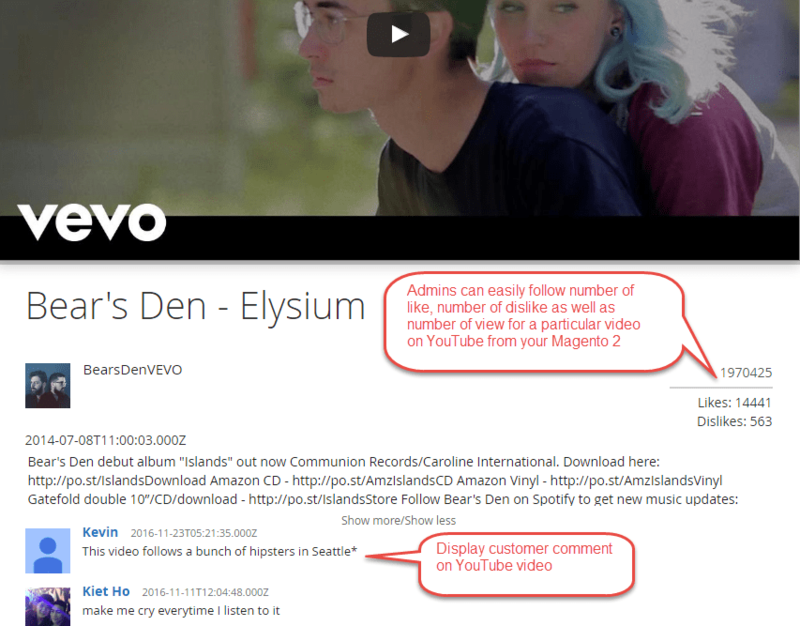 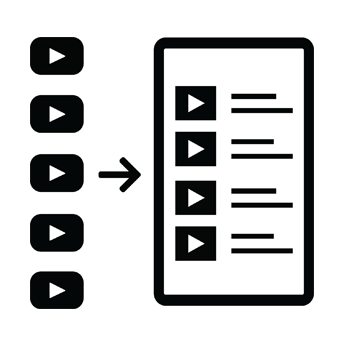 Merchants can easily embed a whole Youtube channel into your Magento 2 store. 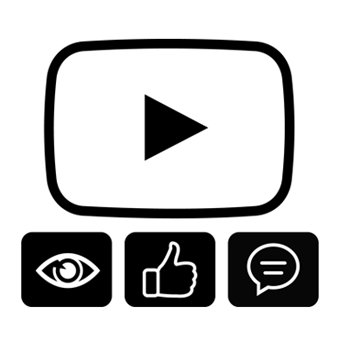 Merchants can grab videos from any Youtube channel, disable or disable any Youtube channel easily. 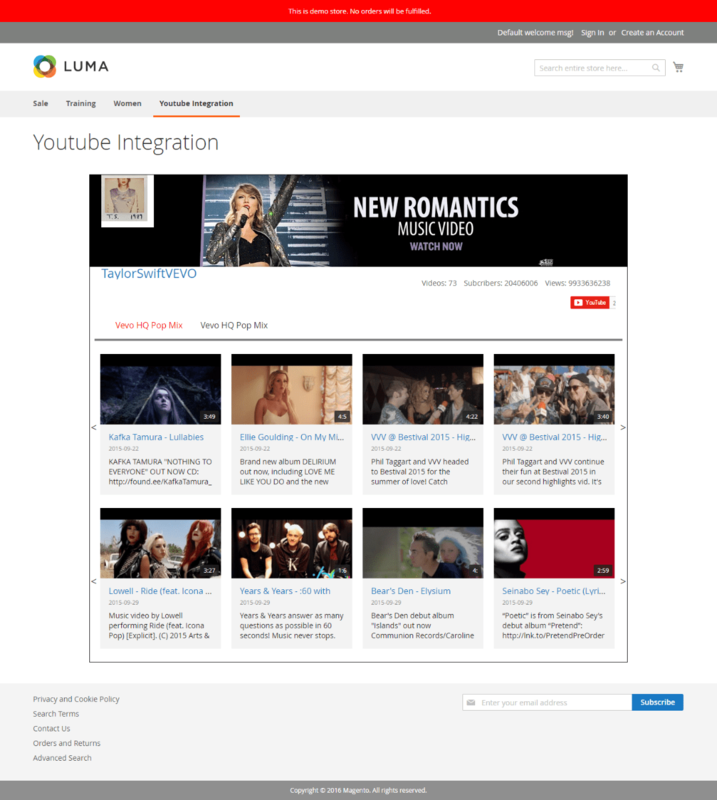 Just enter the URL of the Youtube channel into the URL section and merchants can preview the look and feel of the channel in the Youtube Gallery. 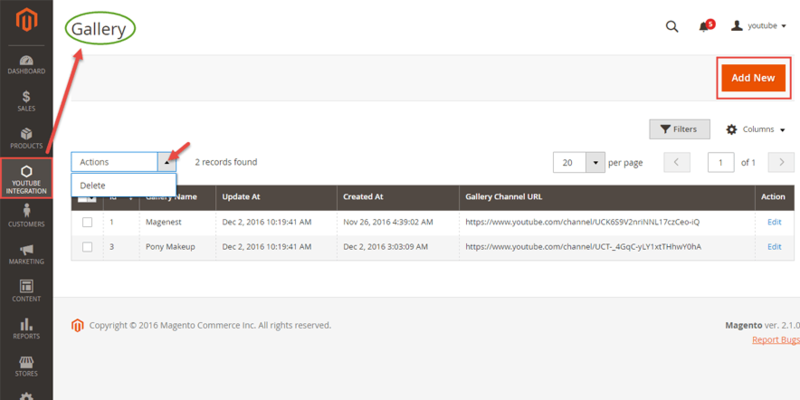 Important information of the Youtube channel is retrieved and displayed so you can get a grasp of what customers can see from your gallery.